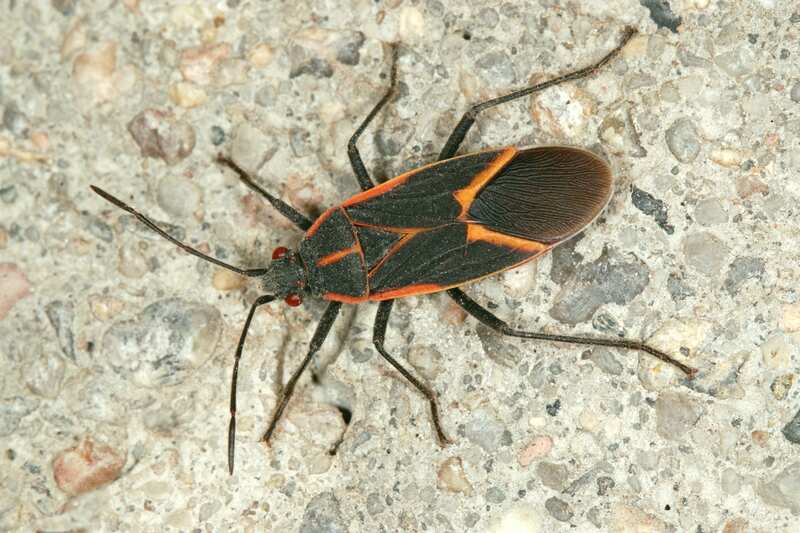 The box Elder bug is a North American species of true bug. It is found primarily on box Elder trees, as well as maple and ash trees. The adults are about 12.5 millimeters (0.49 in) long with a dark brown or black coloration, relieved by red wing veins and markings on the abdomen; nymphs are bright red. Adult carpet beetles are oval and approximately 1/8 inch long. 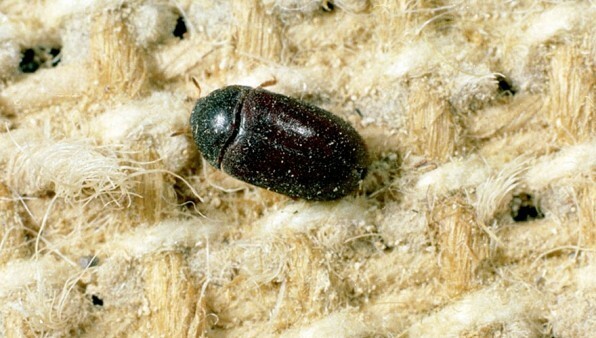 The black carpet beetle is uniformly dark brown-black and shiny. Other common carpet beetles (varied carpet beetle, furniture carpet beetle, common carpet beetle) are covered with colored scales of various patterns. Carpet beetle larvae feed and develop on a wide variety of materials including most stored food products and anything of animal origin. Low-level infestations develop in collections of household lint. Crickets belong to the order Orthoptera, as do grasshoppers. Generally, insects in this group have enlarged hind legs (except mole crickets) adapted for jumping. They also have opaque leather-like forewings that cover a pair of clear, membranous hind wings. Most crickets are nocturnal while their grasshopper relatives are active only during the day. Crickets have adapted to a wide range of habitats and thus are diverse in forms and colors. They are omnivorous, feeding on plants, fruits, decaying organic matter, and even live and dead insects. Crickets usually have very long antennae and a “boxlike” appearance, because their wings are folded sharply over the side of the body. 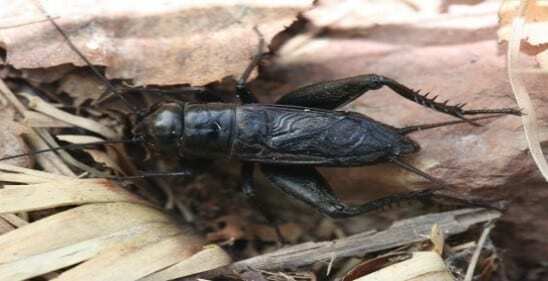 Female crickets have long, spear-shaped ovipositors, used for egg-laying. 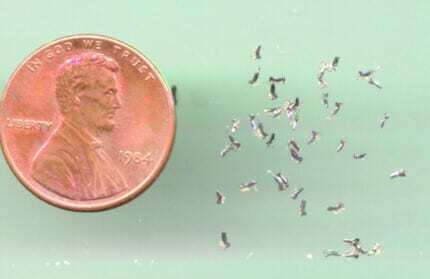 In Nebraska, flea infestations usually get started in the summertime, after pets come in contact with infested pets or after they walk in areas where infested animals have spent time. In the U.S., the most common flea species carried by both cats and dogs is the cat flea. Compared with other flea species, the cat flea has a very wide host range. Wild animals carrying cat fleas include raccoons, opossum, skunks and foxes. Sometimes families without pets have to deal with fleas after a visit to the pet store or after the kids have played with a neighborhood dog or cat. A flea infestation may result when a raccoon takes up residence in a chimney or crawlspace. 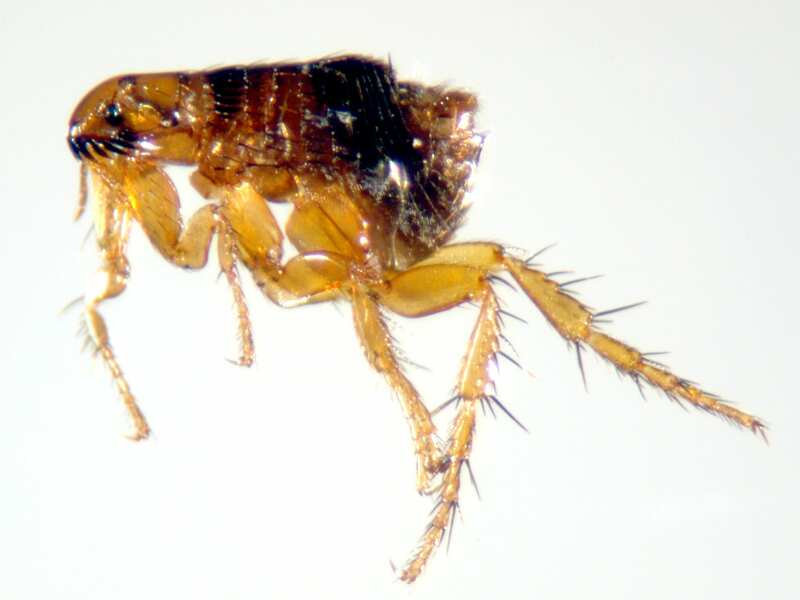 Fleas are small, dark brown insects whose bodies are hardened and compressed from side to side. Fleas do not fly, but have strong hind legs which they use to jump from host to host. Large infestations or extreme sensitivity may result in intense itching and weight loss. Fleas have been known to transmit diseases. Fleas on cats and dogs are the intermediate host for a double-pore tapeworm, which infests dogs, cats and sometimes, humans. 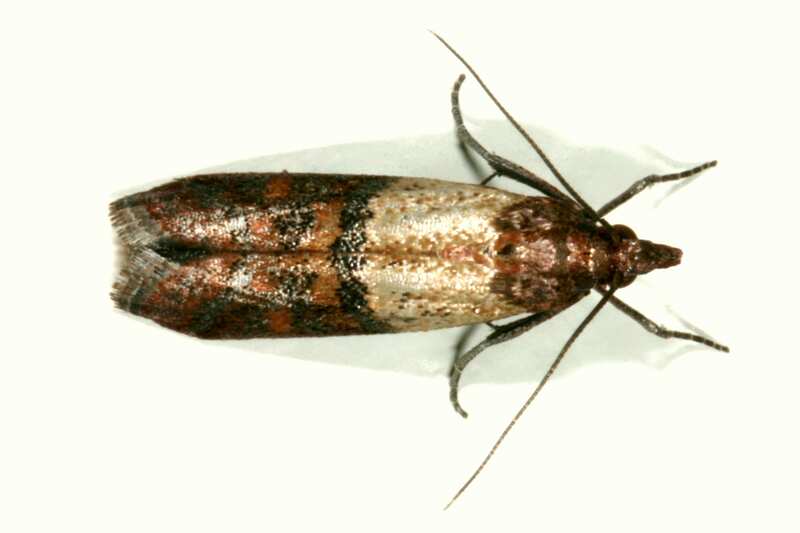 The Indian meal moth is one of the most commonly reported pests of stored grains in the United States. Larvae of the Indian meal moth feed upon grains, grain products, dried fruits, nuts, cereals, and a variety of processed food products. The Indian meal moth is also a common pantry pest. The Indian meal moth is a handsome moth with a wing expanse of nearly three-quarters of an inch. It is easy to distinguish from other grain pests by the peculiar markings of the forewings; they are reddish brown with a copper luster on the outer two-thirds, but whitish gray on the inner or body ends. The hind wings lack distinctive markings and are more or less uniformly gray. Adults can be seen resting on the grain surface or grain bin walls. Springtails are minute, wingless insects. Their main locomotor organ is a forked, tail-like structure (called a furcula) which is folded forward under the abdomen when the insect is at rest. The furcula is held in place by a clasp-like structure called a tenaculum and, when released, it allows them to jump considerable distances. They are 5-6 mm in length can jump 75-100 mm and they can even jump on water! They are beautifully colored (white, gray, yellow, orange, metallic green, lavender, red) but, because these insects are so small, this detail goes unnoticed. The usual habitat of these small insects is in soil of woodlands, in decaying vegetation, or on the surface of stagnant water. Most soil-inhabiting springtails feed on decaying plant material, fungi and bacteria, and thrive in an environment that is moist or high in humidity. Because these pests infest decaying organic matter, they can infest soil of potted plants and become a nuisance in greenhouses or mushroom cellars.